Thanks Lee! I think we do. Firstly, congratulations on the paper, it looks interesting, important even. Thanks for stopping by Matt. As I said, there are no easy answers to this problem. I’m glad Open Quaternary is offering waivers – that’s important even if, as you suggest, it doesn’t fully solve the problem (and I hope I don’t sound cruel in saying that I hope you do get a lot of those ‘tough decisions’ to make – you know what I mean!). I wish you and all the other editors all the very best with OQ. I know you, in particular, have put in many hours creating open access and open source archaeology material on the web in the past and, much like any voluntary role, you probably don’t get enough credit for it. I don’t want to diminish any of your efforts on this or the glorious moment that must be its launch. I just worry that the downsides of the current Open Access publication model, as practised by publishers, are not fully understood by everyone. Thank you, that’s kind of you. Submissions are (very!) welcome. You are absolutely right though, and it does need to be heard. I felt very uneasy with some of the models we were offered by publishers, for precisely the reasons you’ve articulated. I do strongly believe in open access, but there are so many issues to address, not least how to make it both sustainable and fair. 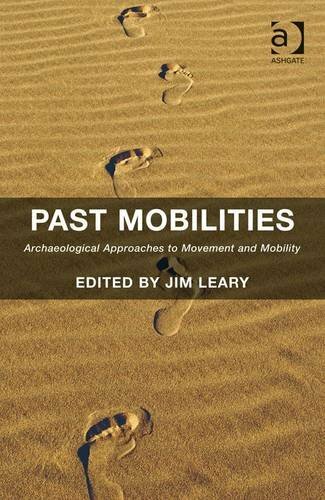 Thanks for mentioning the Journal of Lithic Studies. I think that the future of academic publishing lies in not-for-profit OA journals, likely supported by universities or other research institutions. At present, it is not uncommon for large universities in the UK to spend well over a million Pounds on subscriptions to online journals from the major publishers. For a mere fraction of those costs, a university can set up an open access journal platform running software such as Open Journal Systems and theoretically host an unlimited number of journals. In fact, many universities are doing exactly that. This is already a common trend in the humanities and it’s moving into the sciences including even medicine. One of the major obstacles to overcome is Impact Factor. Researchers are constantly being evaluated based on where they publish. Journals without an official IF are often left out of the evaluation equation altogether. A lot of times researchers are paying the OA fees to large publishers, not simply to make their article available to the public (there are free OA journals out there), but rather for the IF. Once this situation has been resolved, I think that we will see a flourishing of not-for-profit OA journals. Thanks Otis, you may be right. I kept my arguments fairly brief here, simply because I don’t want to read vast tracts of text on the internet and so I assume that many other people don’t wish to either. Clearly, however, the topic is more complex than my overview here, where I was more concerned with presenting my own opinion on a potential downside of the current principal OA model. I don’t think that this gets mentioned often enough in OA debates. It almost goes without saying, however, that this is tied to IF ratings. Universities can and do publish online journals (many, it must be admitted, post-graduate publications such as Assemblage, Hortulus or the Exeter triumvirate of Pegasus, Ex-Historia and Postgraduate Journal of Medical Humanities). I’ve published book -reviews in two of these. Would I consider publishing research articles in them at present? Not unless as a last resort, for precisely the reason that you suggest. This is what I was getting at when I said that the debate may run and run for years. When I said that though, I was unaware of the new REF conditions. This could change things substantially in the UK, at least. Over the next two years I think there could be a great deal of argument between universities, the big publishers and the government, with researchers caught in the middle of the battleground. After that, something will have to give. Clearly, researchers’ most important concern is usually that their work is visible to other researchers and career assessors. The government thinks that all research should be publicly available. Universities hope to save money and have a high research profile while the publishers hope to make money. With the new REF agreement, all those desires are incompatible under the status quo so it will be interesting to see how this plays out (all the while hoping that it doesn’t adversely effect myself or my friends too much!). Well done for setting up the Journal of Lithic Studies on such solid, altruistic grounds though. It’s a good title, which may help it attract attention, and I hope it goes on to establish itself as a viable publication venue for major scholars and leading research.